So i discovered this beauty yesterday… I’ll be honest… I wasn’t a fan on its own!! It has a slightly earthy taste (and considering it’s grown in the ground, that might be why!?). I mixed it in with strawberry and cucumber juice and we were back on track! 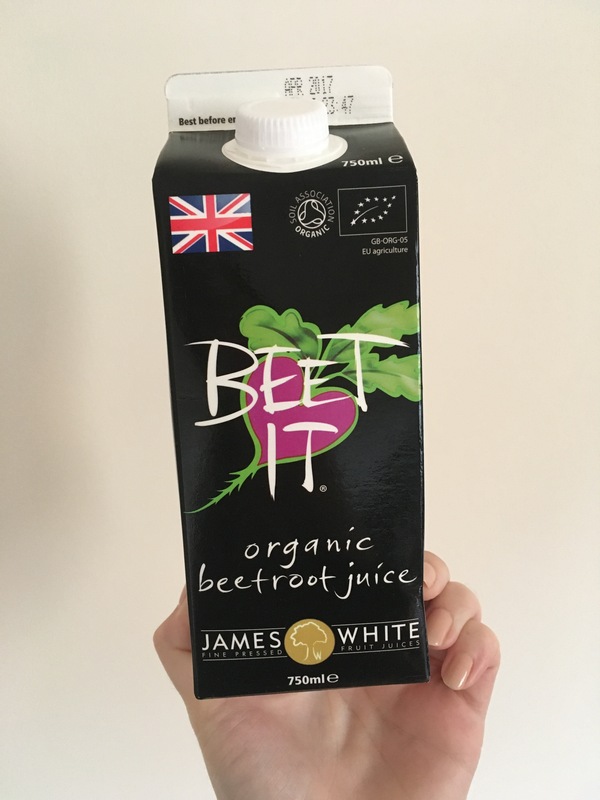 I started juicing back when I was sick last year, I found it an easier way to gulp down my 5-day, and eat the fruit/veg is perhaps ordinarily avoid. Beetroot for me, is right up there. It contains potassium, magnesium, iron, vitamins A, B6 and C, folic acid, carbohydrates, protein, antioxidants and soluble fibre. OOFT. I do ordinarily juice myself, but this was a slightly easier purchase admittedly!